From the north to the south you won't miss any outstanding destinations that would bring you amazing memories and stories to share with everybody. This is the best way to enjoy every single thing of a particular Asian country, from the astonishing beauty of Halong bay to the tranquil atmosphere of Hue and Hoi An where for years still are dreaming places even for the local, or the differences of city life and delta life in the south Vietnam. You will be the one not only to observe but also to hands on the activities. Don't forget to take camera to record all nice memory in your tour. - Tu Phu (Four Palaces) Show - a very unique show about ritual of spirit practiced in the Vietnamese indigenous religion with music, colors and lively dance performance. The Four Palaces Shows take place on Thursday and Saturday every week. Activities: Welcome to Vietnam! Transfer to the hotel in city center and relax for the rest of the day.. Begin the first day of the trip with a tour of Hanoi. Depart from the hotel for a visit to Vietnam’s first university: the Temple of Literature. Founded in 1076, Quoc Tu Giam was established within a temple to educate Vietnam's royalty, mandarins and members of the elite. Visit the picturesque West Lake and its sixth century Tran Quoc Buddhist Pagoda. 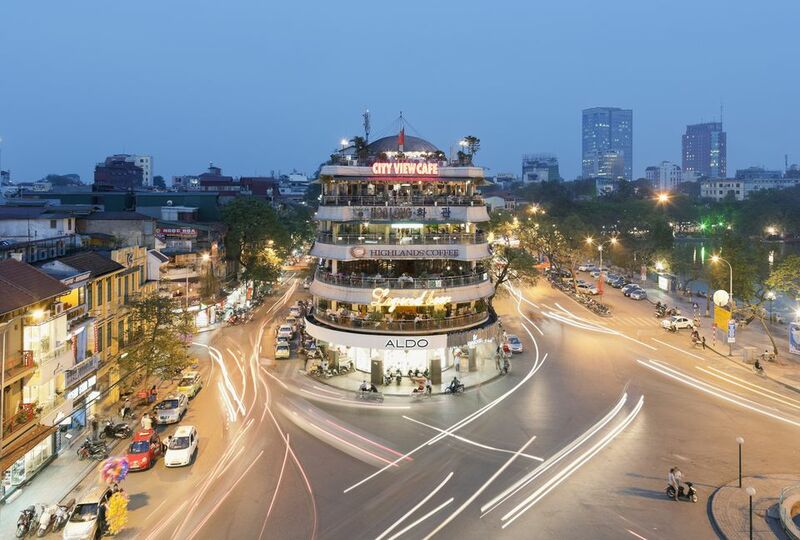 Tran Quoc Pagoda is regarded as the most ancient pagoda in Hanoi with its history line of more than 1,500 years. After visiting, you will have a meal at an authentic Vietnamese Restaurant. Free time at leisure for rest of the day. Enjoy breakfast (brunch on some boats) while the vessels cruises slowly through the magnificent rock formations back towards port. Upon disembarkation, our driver will be waiting to provide transport to Noi Bai Airport for your flight to Hue. Arrive in Hue Airport, get picked up and transferred to your hotel in Hue. 8.00: Our guide and driver meet you at hotel and transfer to the boat landing for a leisure boat trip along the Perfume River to visit the towering Thien Mu Pagoda, one of the most famous Vietnamese landmarks. After that, drive outside of town for lunch and enjoy classic Hue cuisine at a restaurant in beautiful garden setting. If time and weather permit, we could admire the glorious sunset on Perfume River. Drive back to hotel. Pick up at hotel in Hue, then transfer to Hotel in Hoi An via Cloudy Pass. Land transfer by shuttle bus or Private car with stop at some sightseeing on the way for short break (admission fee not included). 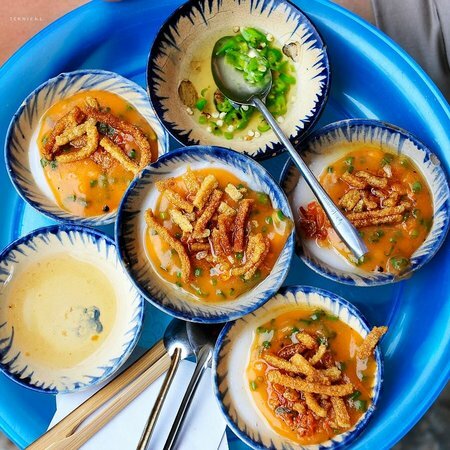 Hoi An Street Food Tour by Motorbike is available all day. You will visit more than 5 special locations, learn about local, food preparation techniques and try more than 10 dishes. Sandwiches, sweet snacks, a traditional style sea food main course and local deserts are all included. Lying 18 km offshore from Hoi An, the Cham Islands (known locally as Cu Lao Cham) feature beautiful seascapes and landscapes. This island group has 3,000 inhabitants; most of whom make a living from fishing. There are many other interesting attractions for visitors, including fresh seafood, traditional crafts, swimming and sightseeing. Recently important archaeological remains were found and these are now exhibited in a small museum near the main jetty. The waters around Cu Lao Cham is home to 135 species of coral, four species of tiger shrimp and 84 species of mollusk, many of which are listed in Vietnam’s and the world’s Red Book of endangered species. Today the Cham islands are also a Marine Protected Area (MPA) because of their many important marine habitants, especially beaches and coral reefs, and rich biodiversity. The MPA includes eight islands; the largest island Hon Lao, features magnificent beaches and forests, the township of Bai Lang, a small harbor, a traditional fishing village (Bai Lang), temples, shrines and a pagoda. Cham Islands, offshore island of Hoi An City has just been recognized as the World Biosphere Reserve by the UNESCO. Transfer to the Da Nang airport to take a flight to Ho Chi Minh City. Upon arrival, our driver will wait and transfer you to the hotel in the center of city. Check-in hotel and free at leisure to relax. Visit Cu Chi Tunnels (70 km northwest of Ho Chi Minh City), an amazing complex of underground tunnels used during the Vietnam War. There are more than 200 km of tunnels, comprising a main axis system with many branches connecting to underground hideouts, shelters and other tunnels. You have the chance to crawl through this amazing system of tunnels. You will have a free leisure day today. Option 1: Tour Mekong Delta Local life: Immerse yourself in the lively atmosphere and enjoy fresh food in the heart of the Mekong. Experience the locals' life by visiting their traditional handicraft workshops, fruit gardens. .
Option 3: Dinner Cruise on Saigon River: Spend romantic evening time to enjoy a special dinner on boat while the cruise setting sail on the Saigon River. Have leisure time before your departure. You are welcome to join our interesting optional excursions in and around Ho Chi Minh City, such as our Good Morning Saigon! tour. Transfer to the airport in Ho Chi Minh City for your onward flight. Tour ends after arriving at the airport. Please inform in advance if you are vegetarian.